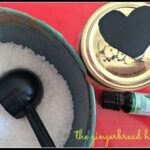 Welcome back to another 31 Days of Love guest post. 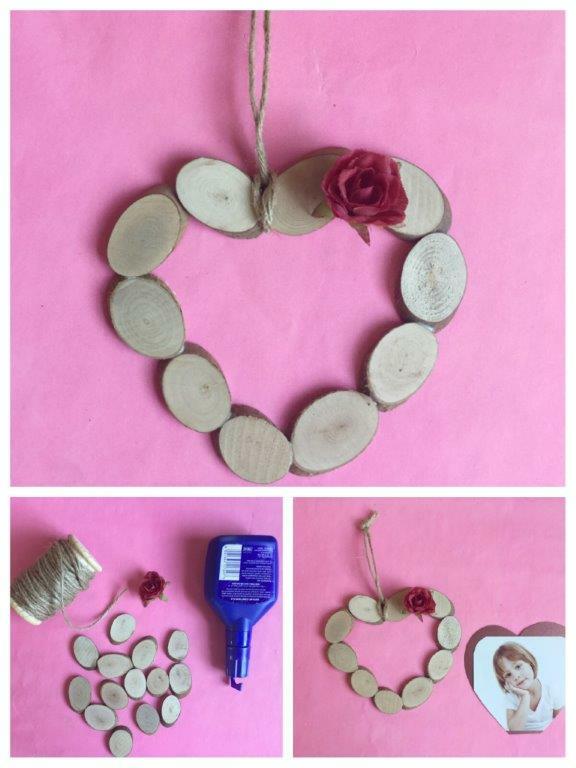 Today we have a gorgeous DIY Heart Ornament made from Wood Slices/ Wood Chips. 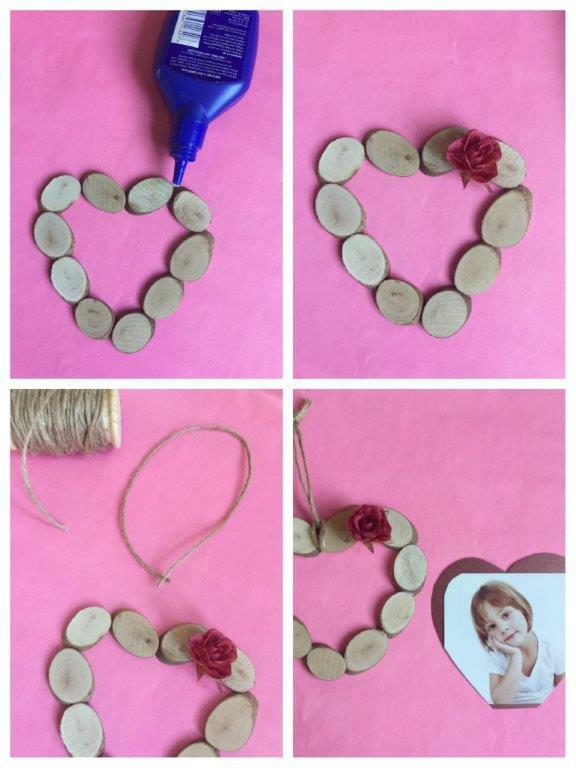 This is super sweet DIY Heart Ornament, that also doubles up fabulously as a DIY Heart photoframe. 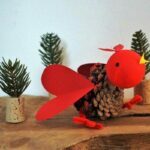 It is a perfect Valentine’s Day Gift, but would also be great as a Christmas Ornament or Mother’s Day Craft! 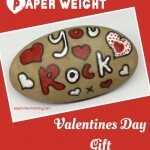 Check out more Valentine’s Day Gift Ideas and Valentine’s Day Decorations from the series! 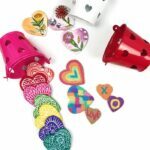 I’m Nadia and I blog over at Teach me Mommy about easy and playful activities with the aim to teach. You can follow along on Facebook, Twitter, Pinterest and Instagram. 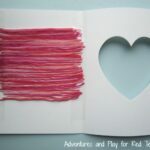 Today I’m sharing this easy, but oh so, pretty Valentine’s Day gift you can make too! 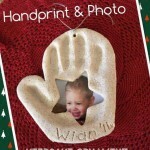 A wood chip ornament or photo frame! 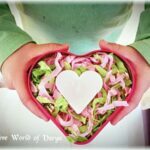 Pack out a heart shape with the chips before glueing it. I had to play around with these wood chips first to fit the flat ends under the other ends so it will glue to each other easily. 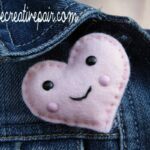 When you are satisfied with the look of your heart shape, start glueing. You do not need a lot of glue for this, but do make sure all the chips touch each other and the glue. Add the rose(or any decorative item/s you are using). 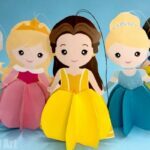 Wait for the glue to dry, then add the string/ribbon. 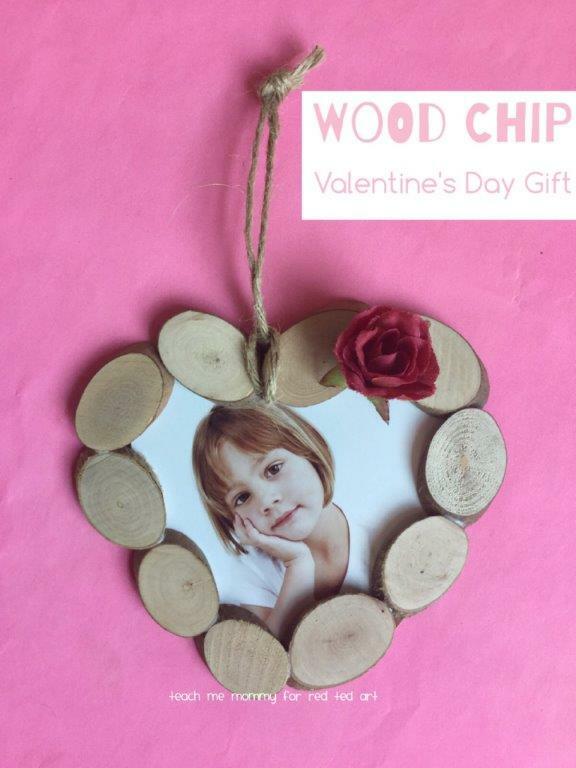 If you want to use the wood chip heart as a photo frame, cut card stock a little bit smaller than the heart. 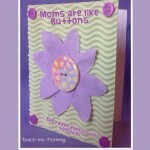 Stick a photo on the card board and attach to the back of the heart frame. Voila! 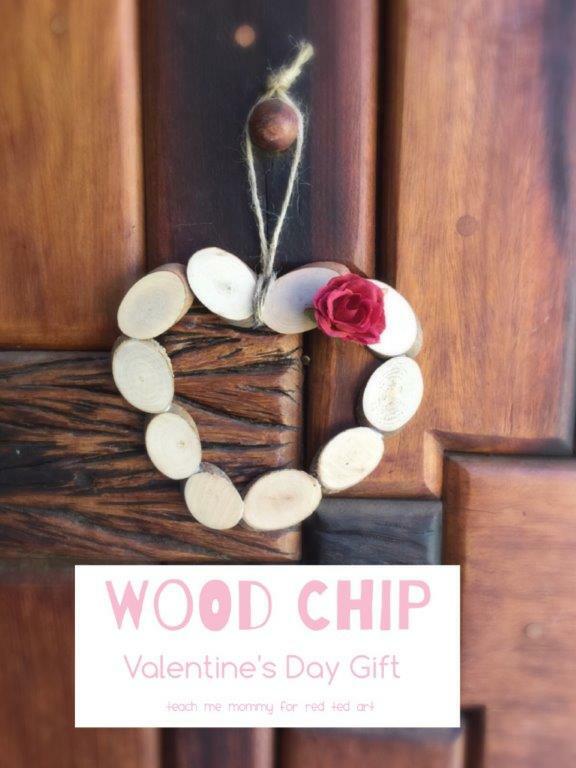 A pretty wood chip gift you can use as an ornament or as a photo frame!